﻿Published by Sareth Ney on Nov. 9, 2017 at 2:56 p.m. 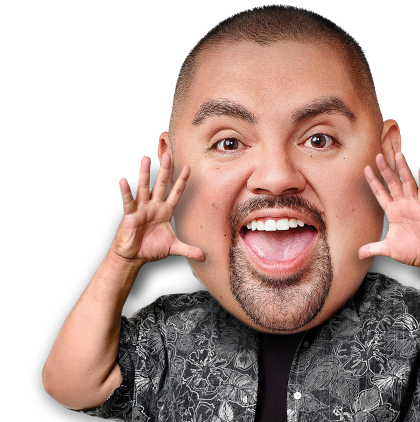 Updated on Nov. 10, 2017 at 3:09 p.m.
JACKSONVILLE, Fla. - Gabriel Iglesias’ Fluffymania World Tour makes a stop at the Florida Theatre, on Dec. 21. According to Iglesias’ biography on his website, fluffyguy.com, he first started performing stand-up comedy in biker bars and hole-in-the-wall joints. His YouTube views have surpassed 300 million, sold out Madison Square Garden and celebrating 20 years of comedy with FlufflyMania World Tour. Films Iglesias was a part of include: “Entre vivos y plebeyos”, “El matador”, “Days of Santiago”, “The Surfer King”, “Hispanic Comedians: from Gabriel Iglesias to Melissa Villaseñor on growing up funny”, “Magic Mike”, “A Haunted House 2”, “Magic Mike XXL”, “The Fluffy Shop” and “Americano”. He lent his voice for “Planes”, “The Nut Job”, “Scooby-Doo! Ghatly Goals”, “The Book of Life”, “Norm of the North”, “Smurfs: The Lost Village”, “The Nut Job 2: Nutty By Nature”, “Coco” and “Blazing Samurai. Television programs Iglesias could been seen in were: “Lleno, por favor”, “VS.”, “All That”, “My Wife and Kids”, “Los Barriga”, “=3”, “The High Fructose Adventures of Annoying Orange”, “Annoying Orange: Movie Fruitacular”, “Hey It’s Fluffy!”, “Cristela” and “Narcos”. He provided voiceover work for “Family Guy”, “The Emperor’s New School” and “Ice Age: The Great Egg-Scapade”. Iglesias served as the executive producer and writer for the following: “Gabriel Iglesias: Hot & Fluffy”, “Gabriel Iglesias: “I’m Not Fat… I’m Fluffy”, “Gabriel Iglesias Presents Stand-Up Revolution” (wrote five and executive produced three episodes) and “The Fluffy Shop”. He was the writer and producer for: “Gabriel Iglesias Presents Stand-Up Revolution DVD” and “Gabriel Iglesias Presents Stand-Up Revolution Season 2”. He came up with the concept of one episode of “Lleno, por favor”, wrote one episode of “Comedy Central Presents”, wrote the “Loco Comedy Jam Volume 1” video and was the writer for “Gabriel Iglesias: I’m Sorry for What I Said When I was Hungry”. He was the executive producer of “Damn TV Extreme: World News”, “Gabriel Iglesias: Aloha Fluffy”, “Trevor Noah: African American”, “Gabriel Iglesias Presents Rick Gutierrez: I’m Not Mad. I’m Just A Parent.”, “The Fluffy Movie: Unity Through Laughter”, “Hey It’s Fluffy!”, seven episodes of “Fluffy’s Food Adventures” and the upcoming “Untitled Gabriel Iglesias Comedy Show”. In the near future, Iglesias will be part of an untitled comedy show. He will provide his voice for three motion pictures including: “The Star”, “Ferdinand” and “Show Dogs”. Ticket prices to attend Iglesias’ performance at Florida Theatre are $38.50, $53.50 and $73.50. They exclude fees. Nov. 9 - Embassy Theatre, Fort Wayne, Ind. Nov. 10 - Embassy Theatre, Fort Wayne, Ind. Nov. 16 - Altria Theater, Richmond, Va.
Nov. 18 - Reno Events Center, Reno, Nev.
Dec. 2 - Amway Center, Orlando, Fla.
Dec. 9 - Clans Casino & Hotel - First Council, Newkirk, Okla.
Dec. 14 - Morongo Casino Resort, Cabazon, Calif.
Dec. 15 - Morongo Casino Resort, Cabazon, Calif.
Dec. 21 - Florida Theatre, Jacksonville, Fla.
Dec. 22 - USF Sun Dome, Tampa, Fla.
Dec. 25 - Irvine Improv, Irvine, Calif.
Dec. 28 - Crouse-Hinds Theatre, Syracuse, N.Y.
Dec. 29 - Crouse-Hinds Theatre, Syracuse, N.Y.
Jan. 6 - Deadwood Mountain Grand, Deadwood, S.D.